We are excited to announce the release of a Massey University trial and subsequent report by BERL into the success of Queen of Calves – the results were truly eye opening! The Queen of Calves programme has undergone some major developments in recent times. The product has been on the market for a number of years, but recently research has been published which lends weight to its efficacy. 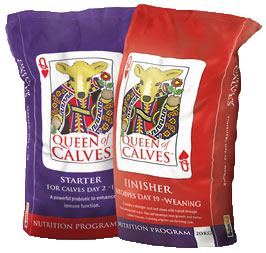 The Queen of Calves programme involves feeding X-Factor from day 2 to day 18 of the calf’s life. X-Factor is primarily a probiotic to enhance gut fl ora and immune function. After this, the programme moves to feeding Queen of Calves from day 19 for 6 weeks. Queen of Calves contains some probiotic and prebiotic. 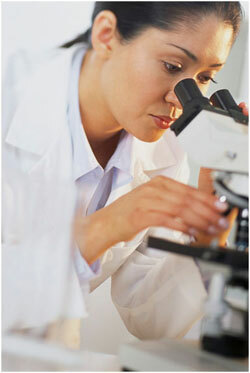 Calling all budding dairy research scientists. 2012 sees the launch of the Bell-Booth Research Scholarship at Massey University. Aimed at postgraduate students with an interest in dairy research, the scholarship will provide the successful applicant with $3,000 to go towards their project costs. The aim of the sponsorship is to advance the industry’s understanding of the importance of early calf nutrition and to help develop improved nutrition programmes that will see dairy replacement heifers reach their fullest production potential. Born July 13 2011, ‘Richie McCow’ is the hot property of Peter and Kerry Underwood. He was born lucky. Just look at his face. The Underwoods farm 200 cows on their dairy property at Maungaturoto in Northland, New Zealand. 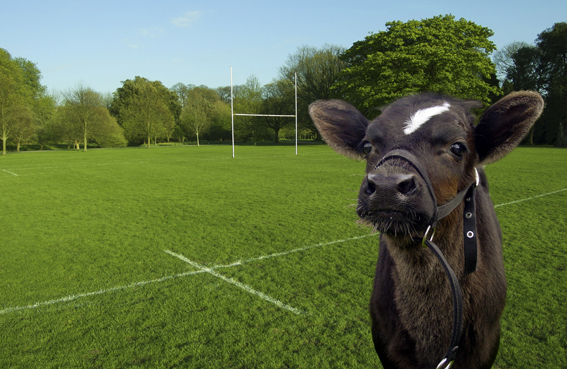 ‘Richie McCow’ narrowly missed going to the works, thanks to the very keen eye of the property owner’s son and caregiver, Kyle. About to be loaded on the bobby truck, Kyle spotted a silver fern emblazoned on Richie’s forehead. Kyle thought “this is too good to be true, our very own kiwi icon.” And fortunately for Richie, he’s not only the most spoiled calf on the farm, where he has his own exclusive living quarters, but he’s raised on the diet that his lucky sisters are fed, the Queen of Calves Nutrition Programme. A Hawke’s Bay dairy farmer who has increased milk production by 100,000kg last year, attributes much of that growth to the use of a probiotic calf feeding system that enhances the nutritional value of milk. Takapau farmer Donald Fraser started using the Queen of Calves calf nutrition programme three years ago when he and wife Karen opted out of sheep and cattle farming and ventured into dairying. Farmers struggling to boost milk production should consult recent Massey University research that showcases a proven solution. Massey University major leader of animal science, Dr Jean Margerison, is currently in New Orleans to address the American Dairy Science Association.